I started off at the Sutton Place Vancouver, 845 Burrard Street – stylish, comfortable and rich in the heart of the city, Rocky Mountaineer has contracts for many hotels downtown including 3 Fairmont properties. 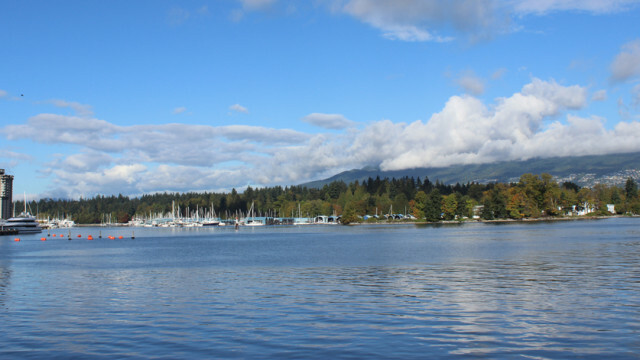 This hotel is about 10 minutes by foot from Canada Place (where the cruise ships embark) and where you can catch a free shuttle to Grouse Mountain or Capilano Suspension Bridge (this may just be the only place you’ll see a grizzly bear). Here there is a tourist information booth, Fly Over Canada, BC’s newest attraction which is a simulator ride in a theatre which covers Canada from coast to coast with smells and sounds to represent the different places. Here you can also catch the hop on hop off trolly, or bus, it’s really the hub of downtown Vancouver and within easy walking distance to the famous Stanley Park, which houses Vancouver’s Aquarium, Gas Town – which offers lots of lovely gift shops and restaurants (including The Old Spaghetti Factory), the Vancouver Look Out (a mini CN Tower, if you will, with magnificent views of the city, ocean and mountains and also included in your Rocky Mountaineer trip), and the Vancouver Art Gallery. The not to be missed English Bay is about 35 minutes by foot from here. If you take either of the hop on hop off tours you can get to almost every tourist stop. 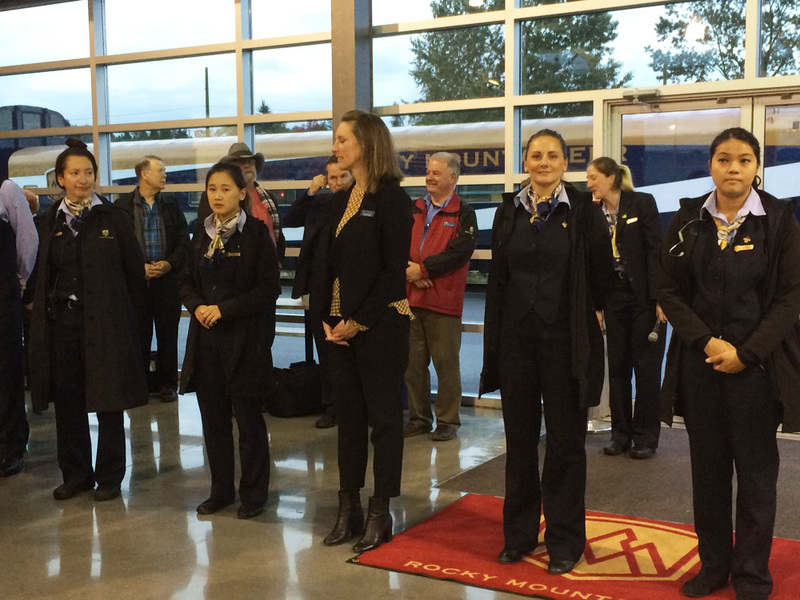 Our journey began with an early morning meeting with the Rocky Mountaineer staff at the lobby of our hotel where they give you baggage tags, transfer your luggage to the motor coach which is waiting for you, and assist with the boarding. 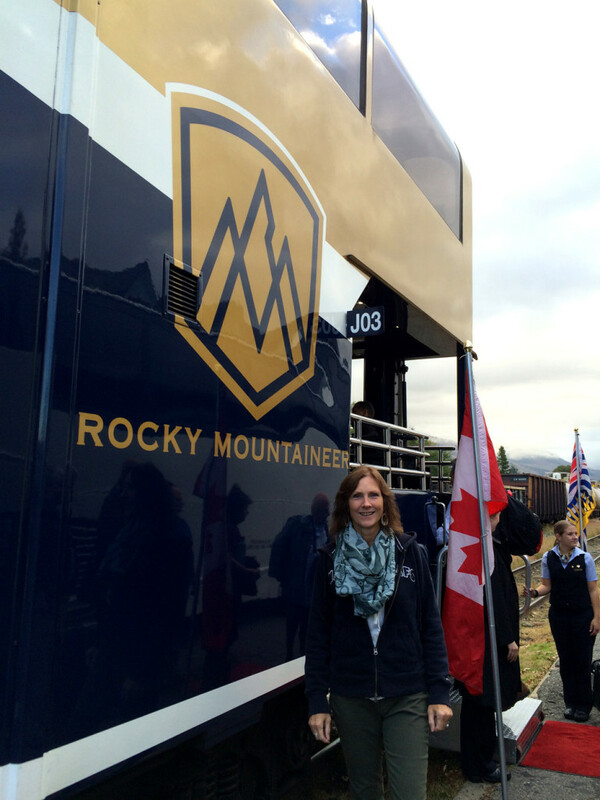 Off to Rocky Mountaineer’s very own train station which is about 12 minutes outside of the city. When you enter the rail station there is a classical pianist playing for all guests awaiting the journey of a lifetime. 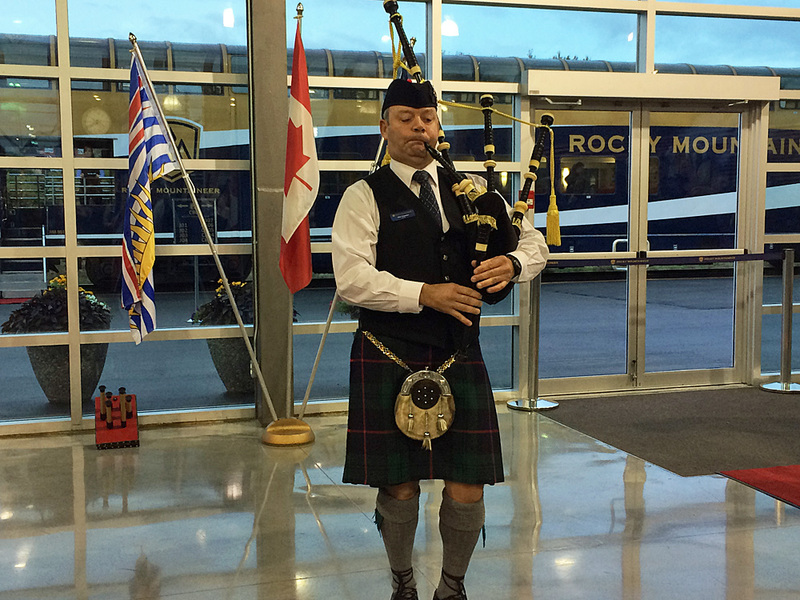 You can have coffee and sweets while you await the announcement that your journey is about to begin, with an official welcome from all their staff, a few special songs from a bagpiper, and a passenger is chosen to sound the horn which is the official kickoff of your journey. You then make your way to your train coach where you are greeted by smiling attendants who assist you to ensure you find your seat and are on the correct coach, ie. Gold, Silver or Red. (RM is phasing out Red Leaf, it will not be available next year.) All staff smile and wave goodbye from the platform in unison and you realize this is truly the trip of a lifetime. I would recommend the trip be started in Vancouver as the scenery gets more amazing as you journey East. We were lucky enough to enjoy Gold Leaf Service. They offer the fully domed windows in the bi-level coaches and passengers go down to the lower level for hot gourmet breakfast and lunch. There are 2 seatings. If you have the second seating they bring you scones, jam and tea before your breakfast, then later in the afternoon wine and cheese before your lunch. On day 2 of your journey, the meal order is reversed. The hot gourmet meals in the Gold Leaf section are a dining experience indeed, prepared by chefs and served with a smile by the attendants who will do everything for you! You can order your meal from the a la carte menu which is the same both days. Omelettes, eggs benedict or pancakes for breakfast and Alberta beef hamburgers, ribs, etc. for lunch. Here you get to meet your fellow travellers and share stories in an relaxed setting, enjoying the ever changing scenery with complimentary drinks (alcohol or nonalcoholic beverages are free onboard during the entire journey in Gold Leaf ). The staff share their knowledge and clearly take great pride in their work. The Gold Leaf service offers a huge outdoor vestibule on the lower level of the train where you can take pictures or get fresh air from. Silver leaf service offers a single level domed cars with large windows (just not open if you look directly up) and Red Leaf service has large picture windows. Both Silver and Red have an observation viewing area but it is between the cars (not on the back of your car). In the Silver and Red, passengers have their food at their seats (hot for silver and cold for red) and alcoholic beverages are only complimentary with your meals, not throughout. A large difference in the level of service is the number of attendants, 3 or 4 in Gold, 2 or 3 in Silver and one in Red. And, of course, the hotels available with the level of service are reflected accordingly. During the day you enjoy the most scenic view in your luxurious seats (in Gold they completely turn around, great for a group of 4 wishing to chat) while drinks and snacks are passed around. Announcements are made when points of interest approach, as well as wildlife, and photo opportunities are aplenty. We saw great bald eagles and big horned sheep. 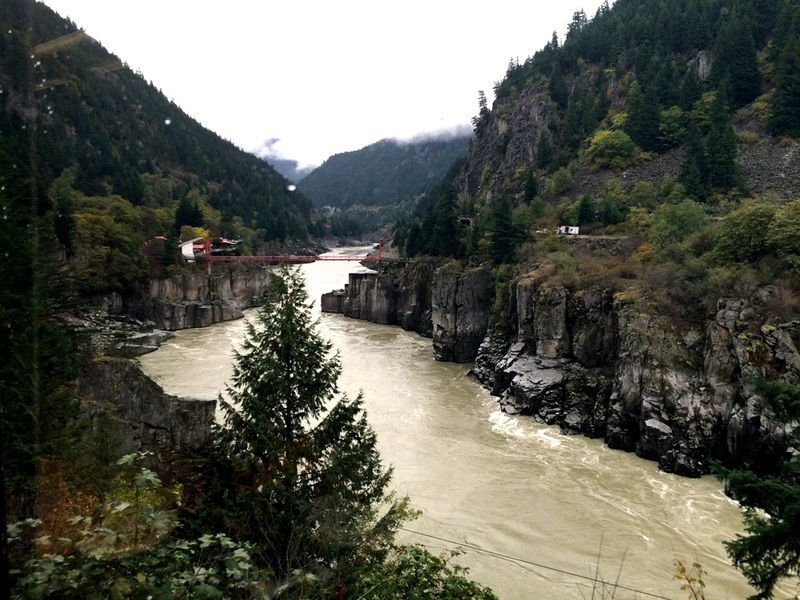 When you arrive in Kamloops, the midway point between Vancouver and Banff or Vancouver and Jasper (on the Eastward journeys), you are seamlessly transferred to your evening hotel which includes baggage handling and check-in for the Gold and Silver Leaf Service. For Red you require an overnight bag as your luggage stays on the train. We stayed at the Double Tree by Hilton which was a decent hotel. The part I enjoyed the most was that by the time you get to your hotel from the train your bags are waiting for you. Kamloops is a bit of a sleepy town, we arrived late and left early but did venture out for a stroll. The next day begins with another seamless transfer from the hotel to the train station. 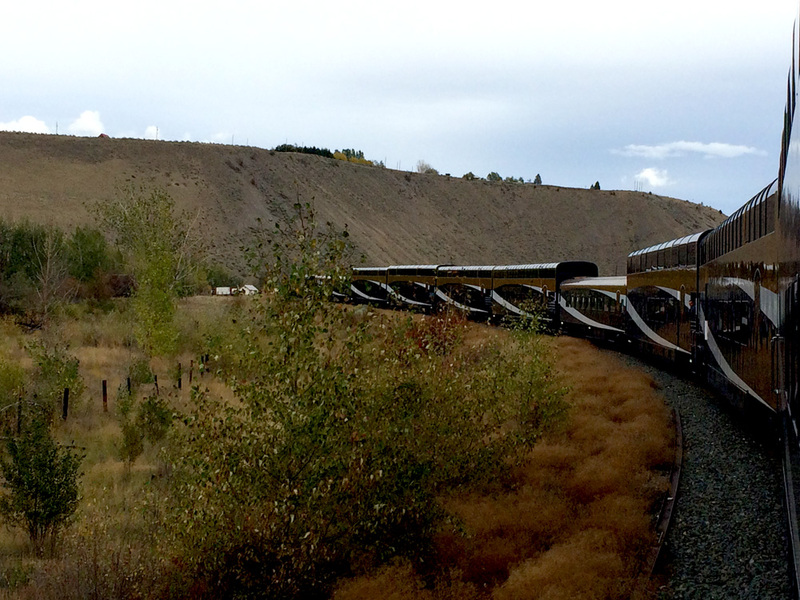 The town is relatively small and it’s only a few minutes from any hotel in Kamloops to the train station. Your full day is similar with more vistas and breathtaking views of wildlife, rivers, rock faces, mountains, bridges and towns. The scenery is forever changing. We arrived late into Jasper around 7:30 – 8:00 pm where we spent the next 2 nights at the Lobstick Lodge, where the hotel manager, Chelsea, joined us for dinner. It’s a modest 3-star property which is a 13 minute walk into the beautiful town of Jasper. Most people would hike, ski, mountain bike, canoe, etc. around this area as you are surrounded by the Canadian Rockies. We saw plenty of elk and a few big horned sheep in this region. Our Brewster excursion the next morning included a boat ride on Maligne Lake with a few stops along the way at lakes and valleys. The rest of the day we were free to explore the shops and restaurants of the small town of Jasper containing 5,000 people. 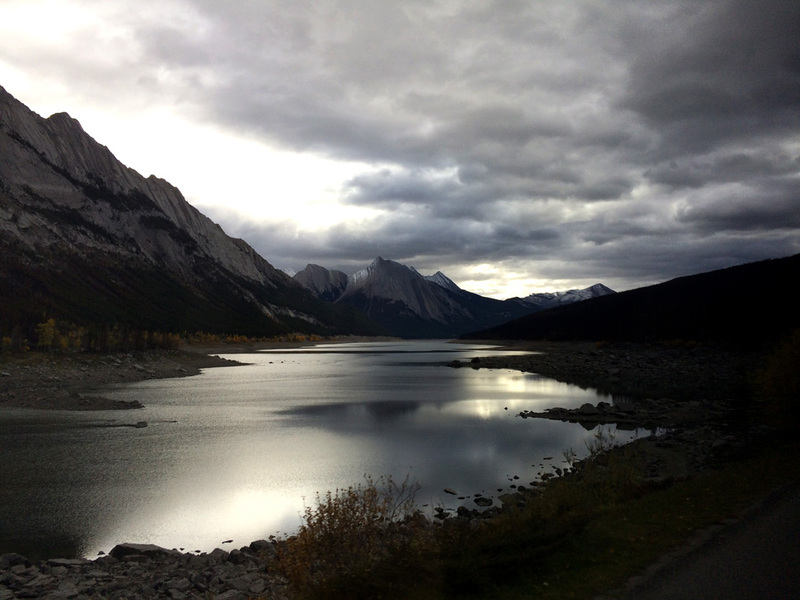 Jasper and Banff are both located within Provincial Parks. The next morning we left early with Brewster on an excursion which would include our transfer to Banff. Brewster “rock” in Alberta, they are a family owned business who have been in the province for over 100 years. The day included a stunning hike through the Athabascan Falls, a drive down the Colombia Icefield Parkway, which included an all terrain ride (ATV) on the glaciers and a breathtaking walk over the Glacier Skywalk which is suspended over an enormous valley, very scary. Late in the day, after our drive toward Banff, we had a brief stop at Lake Louise on our way to the Fairmont Banff Springs Hotel. This property is about 25 minutes walking into Banff but absolutely the most beautiful hotel in Banff, of which there are many. The next day, on another Banff Brewster tour we visited the Bow Valley and waterfalls, saw a very small hoodoo, took the gondola up to Sulphur Mountain which has breathtaking views of Banff and the surrounding area, and spent some time in the charming town of Banff which is 10,000 people. 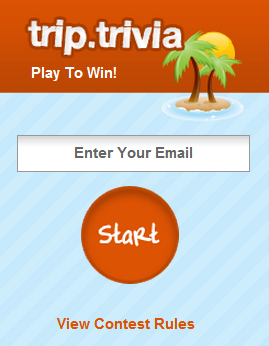 It is even more beautiful than you have seen it on postcards. The next day we drove 20 minutes to Canmore, the next small town South of Banff where you can ski and enjoy the great outdoors. We stayed at the Grande Rockies. The resort is near the Three Sisters mountains and is 15 minutes by foot into the small village of Canmore which offers cute shops, restaurants and art galleries. Our one bedrooms were like ski chalets and offer a full kitchen, laundry facilities in the room, a fire place and balconies with barbeques, perfect for ski families as the resort is close to 5 different resorts. Next morning we headed toward the Calgary airport with a stop for a delightful lunch at the Delta Lodge at Kananaskis which is remote, surrounded by mountains and just perfect for a family getaway away from all the regular tourist towns. They have filmed several movies here because it’s in a perfect setting without all the hustle and bustle of the larger tourist areas. The hotel has lots of outdoor activities including snow shoeing, hiking and skiing. On site there are several restaurants, conference facilities and shops. Our journey ended with a helicopter ride over the Kananaskis Valley. It was truly one of the highlights of an unforgettable adventure. Although it was September, as you are surrounded by mountains, most of the time in Alberta was cool. If you are thinking of a similar itinerary, or even just the train journey, please give me a call, I would be happy to share my knowledge: 1-800-665-4981 ext. 7396. Contest: Win $100 worth of Unbound Merino travel clothes!